Have you still not visited Ferrari Land? Then this is the time! Come and live the Ferrari experience at an unbeatable price! 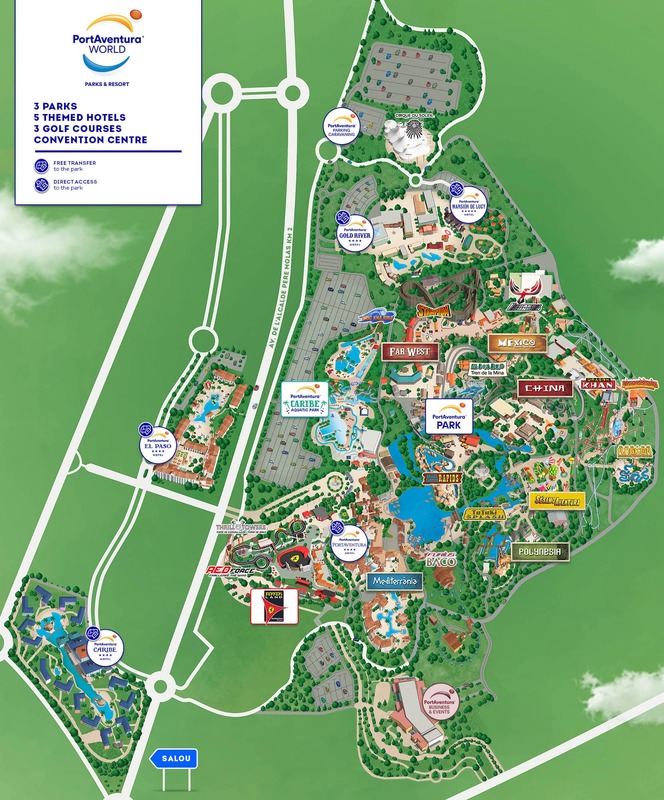 Have you still not visited Ferrari Land? Don’t wait any longer. 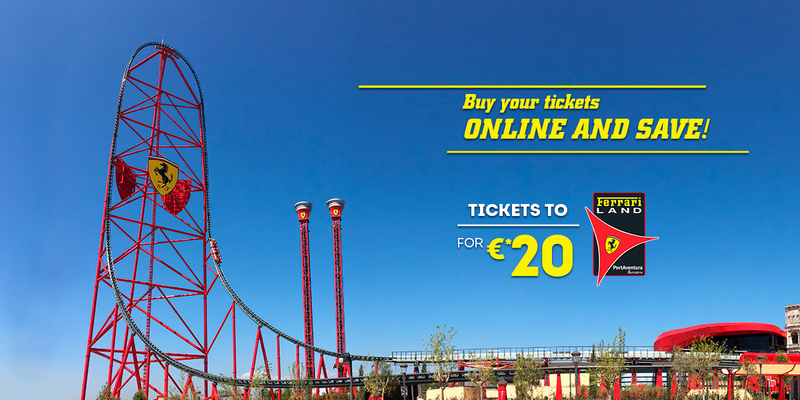 Buy your tickets for Ferrari Land online through our website or our app for only €20/adult. 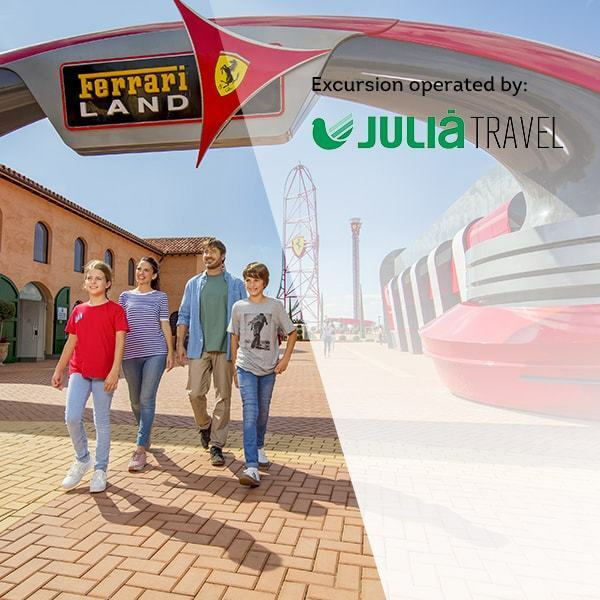 Experience all the passion of Ferrari with your family and friends in spectacular attractions that will make you feel like a real F1 driver. Enjoy free falls, racing and dizzying turns and feel like a real driver in a F1 simulator. The little ones can climb aboard all of the attractions in the Kids’ Area, designed especially for them. From a free fall to the roller coaster Junior Red Force, you can live the Ferrari experience at any age. In addition, you can discover in the main building, the history of Ferrari in an exhibition: Ferrari Land Gallery. With interactive journeys that will leave you speechless: Racing Legends and Flying Dreams. 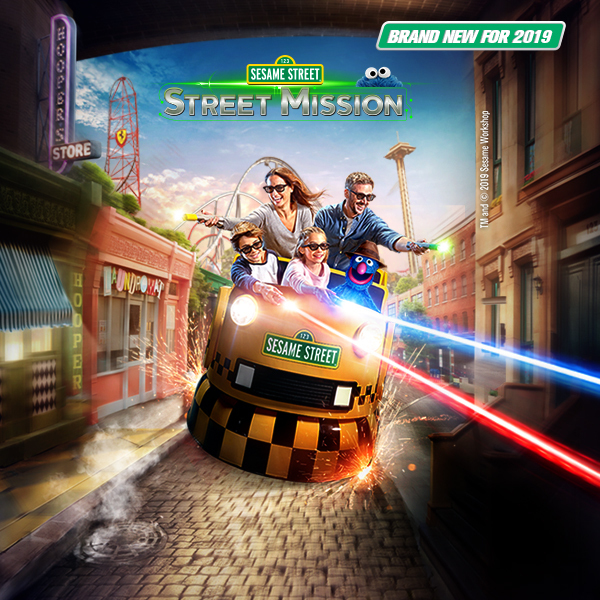 Stroll through the streets and feel like you’re in beautiful Italy with the spectacular theming of the park inspired by the Colosseum in Rome, La Scala theatre in Milan, the Campanile of San Marco in Venice and the home of Enzo Ferrari. Get carried away and explore the park’s shops. In Ferrari Land Store you can buy official merchandise, with a wide range of items related to the Ferrari world. And you simply can’t miss the best of Italian cuisine in our restaurants that you can see here. Delicious pizzas, fresh pasta, Italian specialties, the best ice creams and tasty dishes await you in our restaurants. 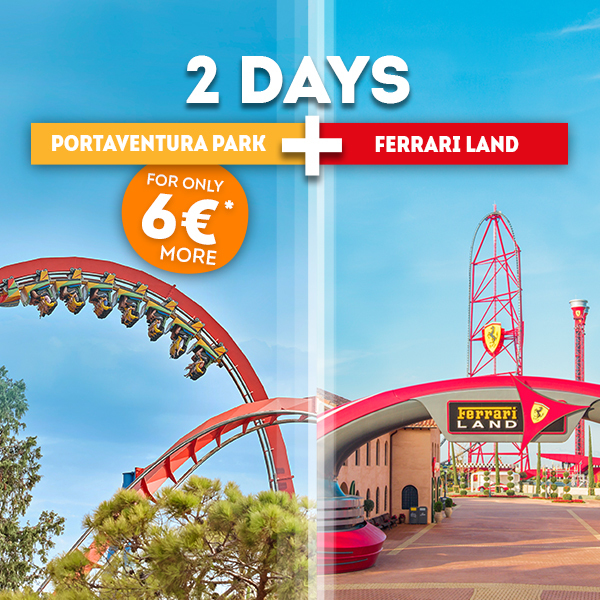 All of these experiences are waiting for you in the only theme park in Europe dedicated to the Ferrari team. Take advantage of your visit and discover PortAventura World in full: tickets are available so that you can get to know each of our parks at any time of the year. Visit us and spend a unique day out at a very special price. And remember, you can now buy your tickets online and save money! Check out our promotion “Buy your online advance tickets at the best price*” and take advantage of our special prices. 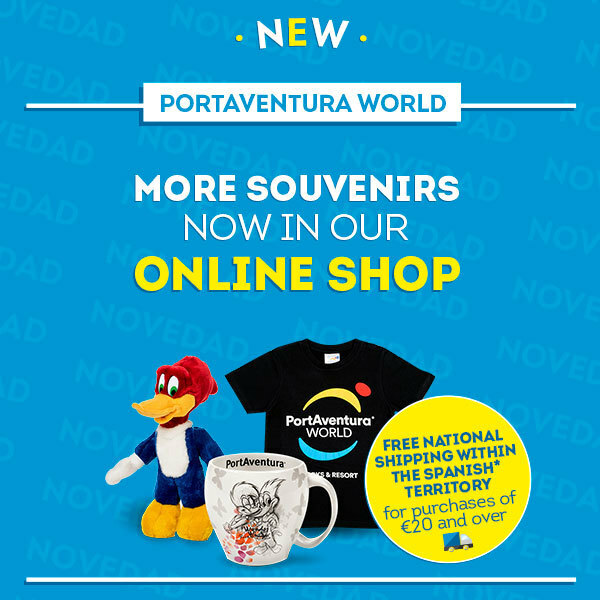 We look forward to seeing you at PortAventura World in 2019! *Rate applicable to tickets purchased through our website or our app. 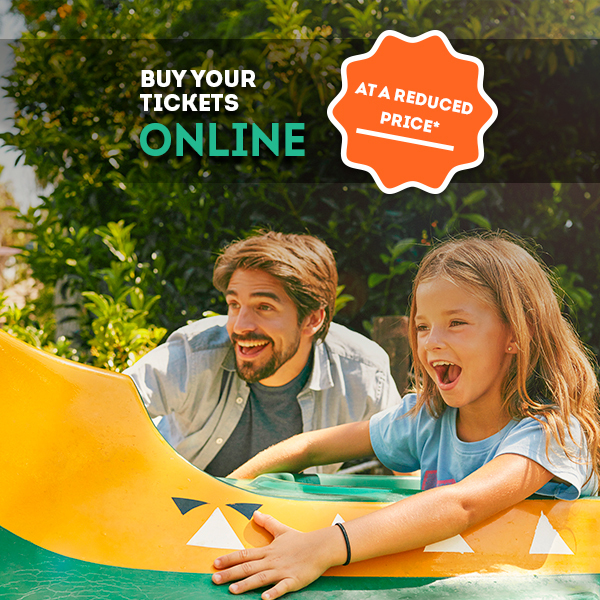 The price of €20 corresponds to the adult ticket valid from 06/04/2019 to 21/06/2019 and from 08/09/2019 to 06/01/2020, all dates inclusive. €20/adult and €19/junior and senior, special price tickets. Ticket will be valid from 06/04/2019 to 21/06/2019 and from 08/09/2019 to 06/01/2020, all dates inclusive. Tickets valid for the entire season, €22/adult and €18/junior and senior. 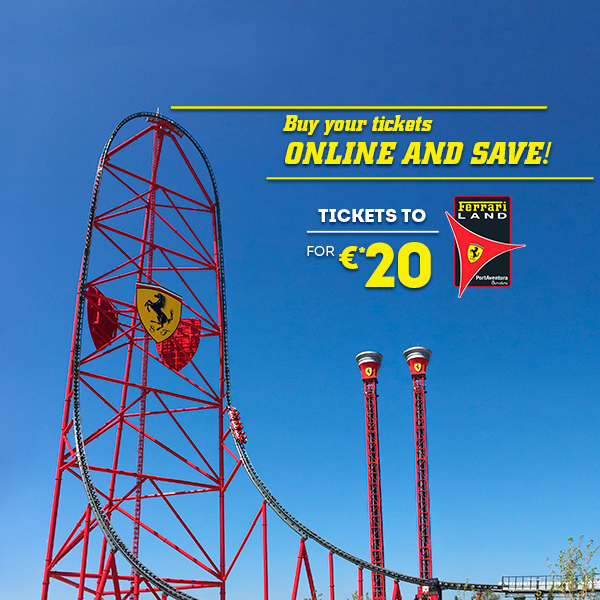 The 1-day access to Ferrari Land will be valid throughout the season, from 06/04/2019 to 06/01/2020, both dates included.